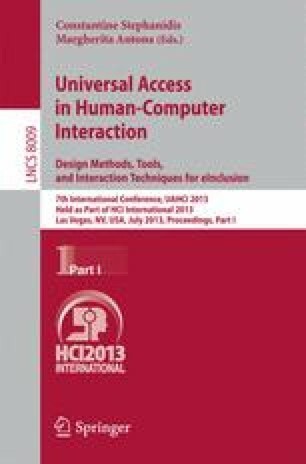 The quest for universal access, still today is faced with the expectation of a minimal knowledge of the use of interactive equipment in order to establish successful communication between these equipments and users. We propose to broaden the discussion on ways to include those unfamiliar with the use of computers, the internet and interactive devices, people with little education and/or illiterate, while not excluding those already accustomed to the use of information technologies. We are not unaware of the undeniable fact that the search for a fully universal interaction is utopian, however, we try to explain the problem here and provoke discussion about the concept of universality.